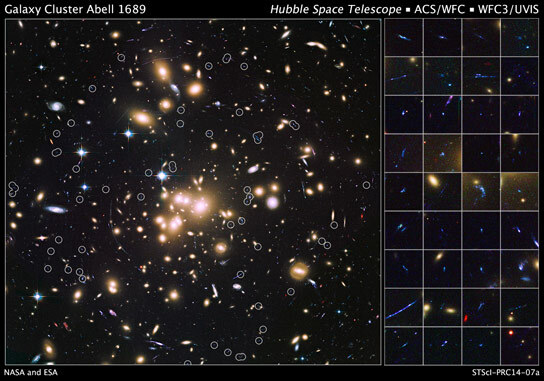 This composite of Hubble images was taken in visible and near-infrared light. 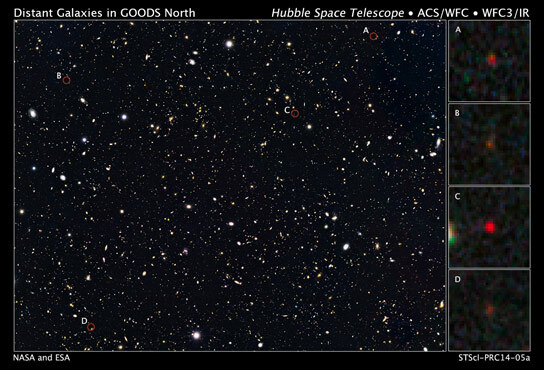 Four unusually red objects (circled) appear as they existed just 500 million years after the big bang. Image Credit: NASA/ESA/Illingworth,Oesch,UC-SC/Bouwens, Labb,Leiden U. New research with the Hubble Space Telescope has revealed four unusually bright galaxies as they appeared 13 billion years ago, the deepest image ever obtained of a galaxy cluster, and a sampling of galaxies thought to be responsible for most of the stars we see today. NASA’s Hubble Space Telescope is providing a new perspective on the remote universe, including new views of young and distant galaxies bursting with stars. Scientists described the findings Tuesday in a news conference sponsored by the American Astronomical Society (AAS). Highlighted in the briefing were three discoveries — four unusually bright galaxies as they appeared 13 billion years ago, the deepest image ever obtained of a galaxy cluster, and a sampling of galaxies thought to be responsible for most of the stars we see today. The ultra-bright, young galaxies, discovered using data from NASA’s Hubble and Spitzer space telescopes, are bursting with star formation activity, which accounts for their brilliance. The brightest one is forming stars approximately 50 times faster than our Milky Way galaxy does today. These fledgling galaxies are only one-twentieth the size of the Milky Way, but they probably contain about 1 billion stars crammed together. The result bodes well for NASA’s James Webb Space Telescope, currently in development. Scientists anticipate using Webb to look even farther back in time to find young, growing galaxies as they existed only a few hundred million years after the universe began in theorized big bang. The Hubble exposure will be combined with images from Spitzer and NASA’s Chandra X-ray Observatory to provide new insight into the origin and evolution of galaxies and their accompanying black holes. 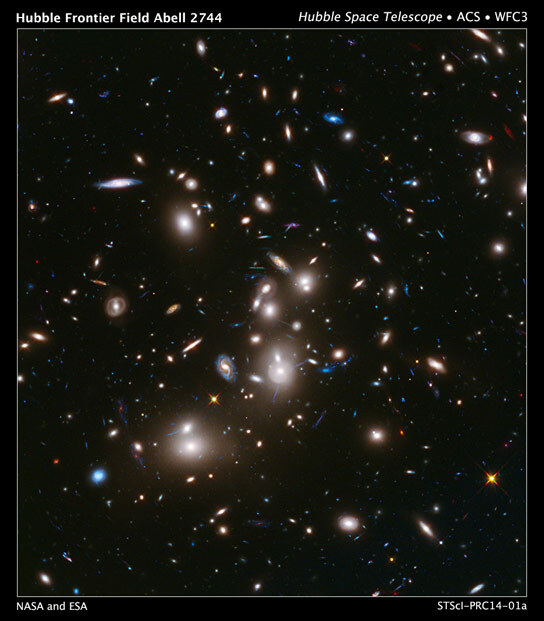 Hubble also uncovered a substantial population of 58 young, diminutive galaxies that scientists long suspected were responsible for producing a majority of stars now present in the cosmos during the universe’s early years. Deep exposures in ultraviolet light, made with Hubble’s Wide Field Camera 3, revealed a sampling of galaxies that existed more than 10 billion years ago, when the universe was roughly 3.4 billion years old. 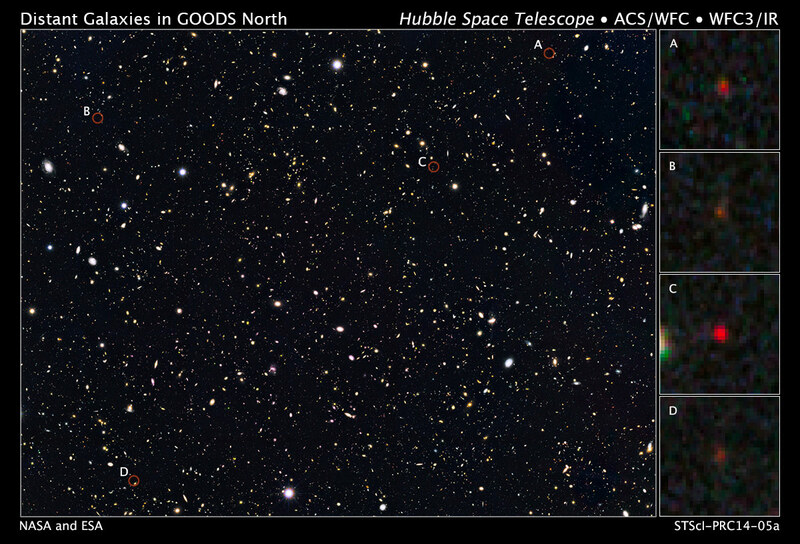 They are the smallest, faintest, galaxies seen in the remote universe to date. A census of galaxies existing at the time indicates these small, faint galaxies are 100 times more abundant in the universe than their more massive cousins. “Though these galaxies are very faint, their increased numbers mean that they account for the majority of star formation during this epoch,” said team member Anahita Alavi, also of the University of California at Riverside. “Our goal with these observations was not to find a large number of galaxies, but to find much fainter galaxies,” said Alavi. 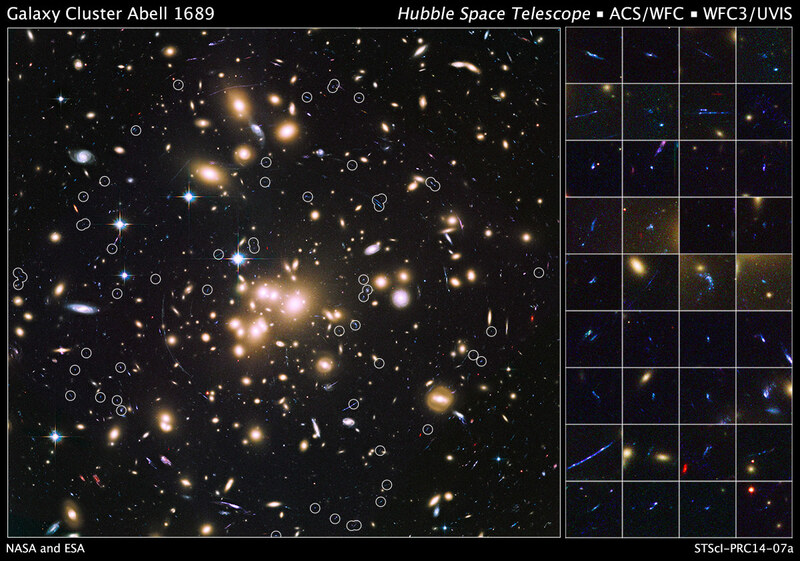 Be the first to comment on "Hubble Provides a New Perspective on the Remote Universe"